Welcome to a relaxing life in Bonterra +55 in Woodforest, which caters to a carefree lifestyle. 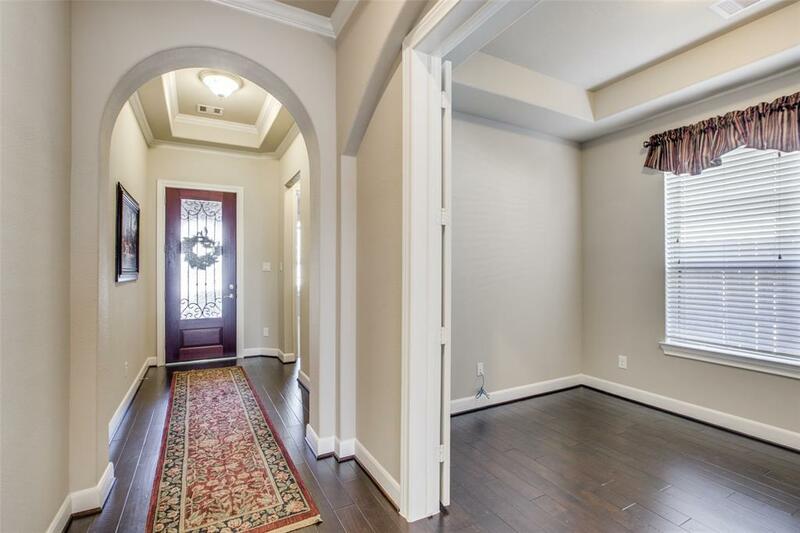 This gorgeous home is just perfect with two bedrooms and an optional room used as a private study/guest/flex space. 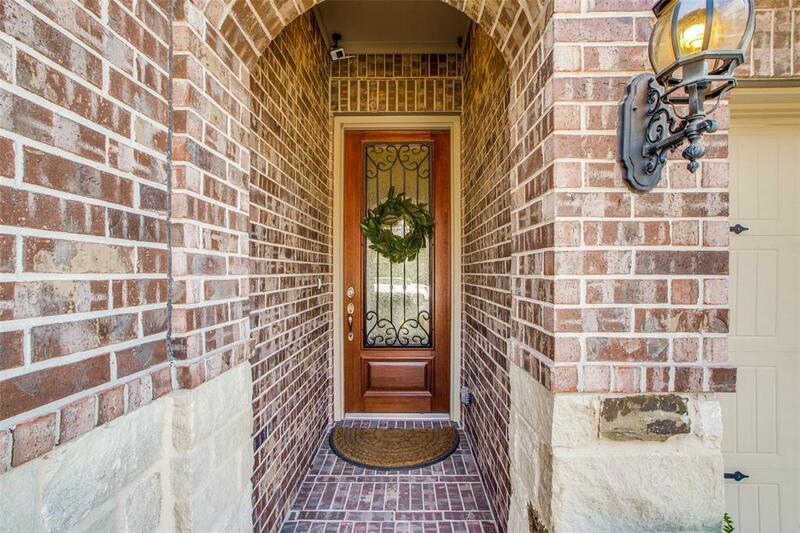 The entrance opens to high ceilings, crown molding and gleaming hardwoods. A wonderful open floor plan is great for entertaining. Abundant upgrades were well thought out which include, custom cabinetry, stainless appliances, gas cooktop and beautiful granite counters. Plentiful windows provide tons of natural light throughout the home. The private master suite includes a spa-like master bath with seamless walk-in shower and double vanities. Huge master closet with built-ins. 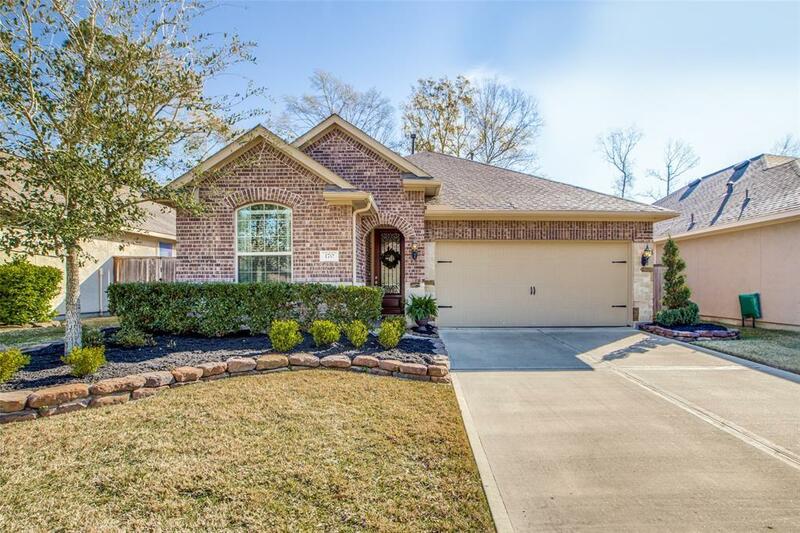 You will love the covered back patio to enjoy coffee in the privately fenced backyard. All this plus an amazing clubhouse and pool within walking distance. A full array of social activities will certainly keep you busy! 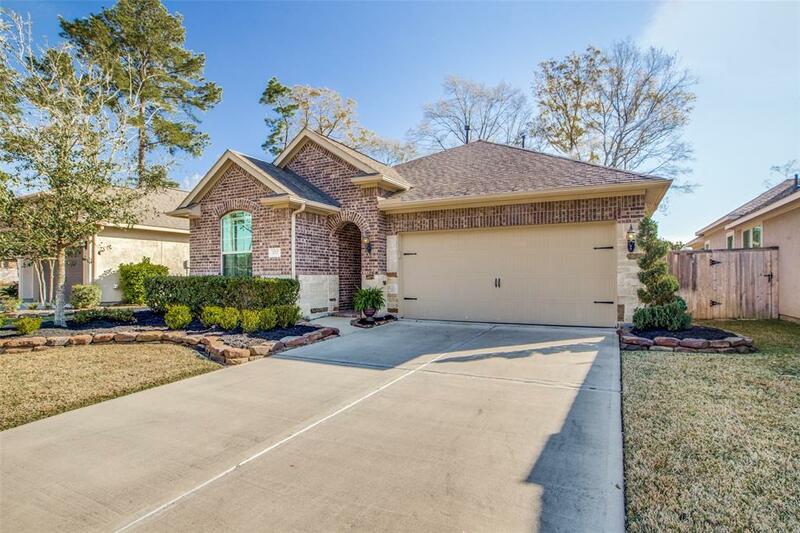 A wonderful wooded retreat close to shopping and medical facilities.